Like many Germans, Berlin schoolboy Erwin Bartmann fell under the spell of the Zeitgeist cultivated by the Nazis. Convinced he was growing up in the best country in the world, he dreamt of joining the Leibstandarte, Hitler's elite Waffen-SS unit. 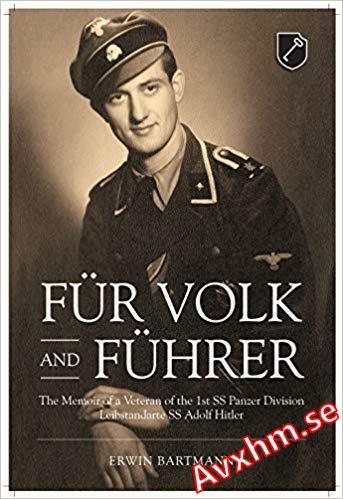 Tall, blond, blue-eyed, and just seventeen-years-old, Erwin fulfilled his dream on Mayday 1941, when he gave up his apprenticeship at the Glaser bakery in Memeler Strasse and walked into the Lichterfelde barracks in Berlin as a raw, volunteer recruit. On arrival at the Eastern Front in late summer 1941, Erwin was assigned to a frontline communications squad attached to 4.Kompanie and soon discovered that survival was a matter of luck - or the protection of a guardian angel. Good fortune finally deserted Erwin on 11 July 1943 when shrapnel sizzled through his lung during the epic Battle of Kursk-Prokhorovka. Following a period of recovery, and promotion to Unterscharführer, Erwin took up a post as machine-gun instructor with the Ausbildung und Ersatz Bataillon, a training unit based close to the eastern section of the Berliner Ring Autobahn. When the Red Army launched its massive assault on the Seelow Heights, Erwin's unit, now incorporated into Regiment Falke, was deployed to the southern flank of the Berlin-Frankfurt Autobahn, close to the River Oder. The German defences soon crumbled and with the end of the Reich inevitable, Erwin was forced to choose between a struggle for personal survival and the fulfilment of his SS oath of 'loyalty unto death'.